DIFFERENT TRAINS GALLERY announces shift in focus at its satellite space, beginning January 24 with “Perspectives”: a group exhibit of works from the Women’s Caucus for Art of Georgia. January 17, 2019 (Decatur, Georgia) -- DTG2 at Cornerstone Bank of Decatur, 125 Clairemont Avenue, 30030 -- The satellite space of DIFFERENT TRAINS GALLERY is taking a change in direction in 2019. “The only art gallery in a bank, that we know of”, according to gallery director Shawn Vinson, will begin showcasing art created by members of Georgia-based arts groups, as well as students at local schools and colleges, with quarterly exhibitions. The inaugural show of the programming shift opens January 24, with an artists’ reception from 5 - 8 PM. 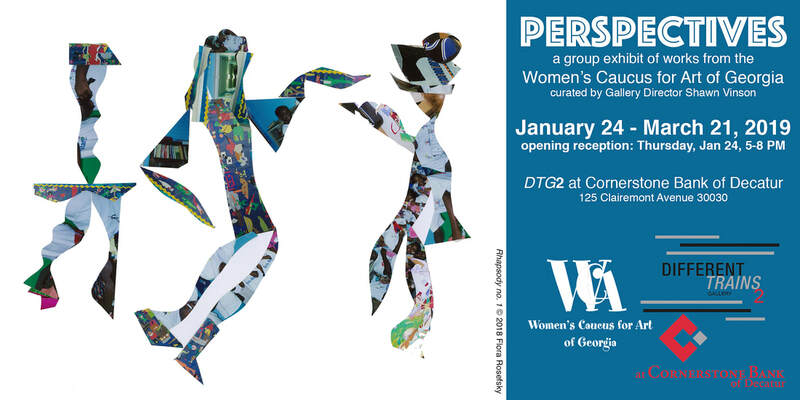 “Perspectives”, curated by Vinson, is a group exhibit of works from the Women’s Caucus for Art of Georgia (WCAGA). It will continue through March 21, 2019. 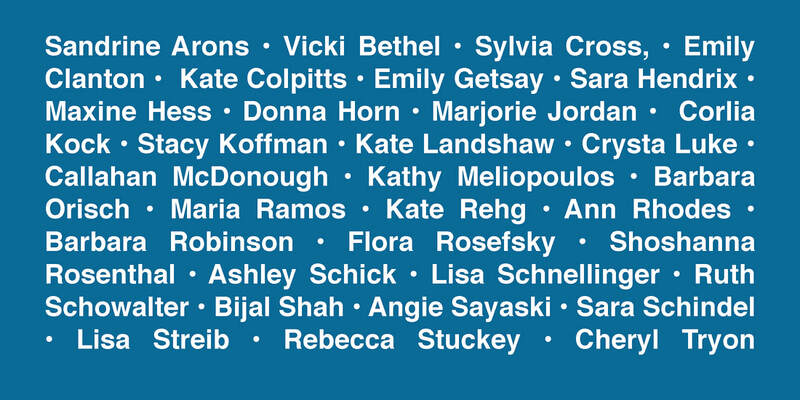 The selected artists are Sandrine Arons, Vicki Bethel, Sylvia Cross, Emily Clanton, Kate Colpitts, Emily Getsay, Sara Hendrix, Maxine Hess, Donna Horn, Marjorie Jordan, Corlia Kock, Stacy Koffman, Kate Landshaw, Crysta Luke, Callahan McDonough, Kathy Meliopoulos, Barbara Orisch, Maria Ramos, Kate Rehg, Ann Rhodes, Barbara Robinson, Flora Rosefsky, Shoshanna Rosenthal, Ashley Schick, Lisa Schnellinger, Ruth Schowalter, Bijal Shah, Angie Sayaski, Sara Schindel, Lisa Streib, Rebecca Stuckey and Cheryl Tryon. WHO/WHAT: Perspectives: a group exhibit of works from the Women’s Caucus for Art of Georgia.